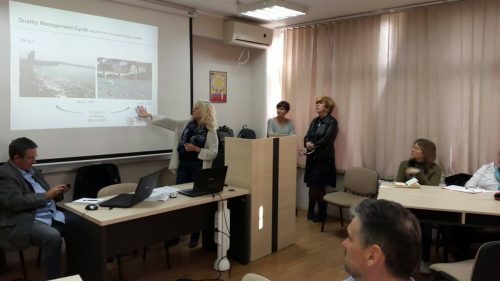 67 representatives of local administration staff from Paracin, Krusevac, Uzice and Vrbas participated in four workshops for drafting the municipal priorities, goals and plans in accordance with European Energy Award EEA guidance, organized by the MEEMP project. The workshops, held in the period 13th and 15th November, were provided within MEEMP European Energy Award Component, focused on helping the city engage in a Quality Management Cycle, based on Energy Management Information System EMIS and the EEA and strengthening the municipal capacity to plan, design, manage and monitor energy projects. Further workshops building up local energy efficiency management for achieving the standards of the internationally recognized EEA will be organized in the future.